Alma Wahlberg (Alma Elaine Donnelly), the matriarch of the Wahlberg family, was born on 6th May 1942 in Boston, Massachusetts, United States. She is the co-owner of the Wahlburger Resturant Chain who rose to fame after featuring in the A&E series Wahlburgers. Alma worked as a bank clerk and later as a nurse’s aide while raising her nine children after divorcing her husband. Alma also was a cast in the TV show Anderson where she played a prominent role, in 2011 she got the series Anderson Live. In 2014 she starred in the A&E show “Wahlburgers”. Alma is of Irish, English, and French-Canadian ancestry. Alma was born Alma McPeck but after her marriage to Donald Edward Wahlberg Sr. she became Alma Wahlberg. Alma married Donald Edward Wahlberg Sr. on 20th November 1965. Wahlberg Sr. was a United States Army veteran and was on the Korean War too. They had nine children together but they divorced in 1982 after 17 years of being together. Donald died on 14th February 2008 at the age of 78. In 1984 Alma married her long time boyfriend Mark Conroy in a private ceremony that was attended by their close ones and family members. Alma together with ex-husband, Donald Edward Wahlberg Sr., have nine children. Six sons: Mark Wahlberg, Donnie Wahlberg, Paul Wahlberg, Robert Wahlberg, Jim, and Arthur Wahlberg and three daughters Tracey, Michelle, and Debbie. Alma is the grandmother to Brendan Joseph Wahlberg, Michael Wahlberg, Ella Rae Wahlberg, Grace Margaret Wahlberg, Xavier Alexander Wahlberg, Elijah Hendrix Wahlberg, Oscar Wahlberg, Charlie Wahlberg, Ethan Wahlberg and Madison Wahlberg. She has an estimated net worth of $1 million. Alma works as a hostess in her family restaurant. Her sons own Alma Vove and the family business has expanded exponentially. The family started a food truck in Dorchester and despite bad weather during the inauguration nearly 500 people gathered to receive the first batch of street food. Alma’s book has not hit the shelves, as of December 2018, but it seems like she has a book coming. In June 2018 Donnie Wahlberg took to his twitter account to promote the book. How the Alma Wahlberg raised nine kids with one rule: Call your mothah! They may be adults, but superstar brothers Mark and Donnie Wahlberg still have a daily responsibility to their mom Alma: Call her. 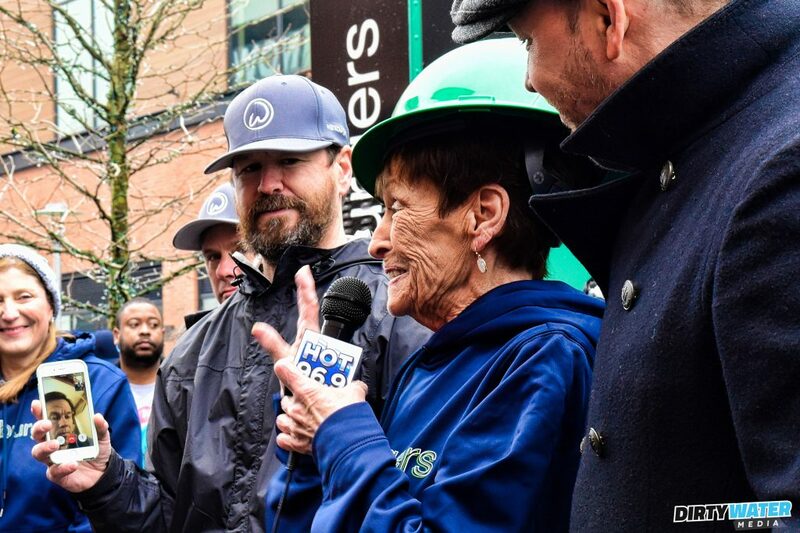 Wahlberg family members Alma, Donnie, Bob and Chef Paul, along with Wahlburgers CEO, Rick Vanzura, unveiled the all-new Wahlburgers food truck yesterday in Dorchester’s South Bay Center in conjunction with National Get To Know Your Customer Day. Fans of the restaurant and hit A&E program were invited to come down to be among the first to be served from the brand-new Boston-based Wahlburgers food truck., and despite the less-than-desirable weather conditions, close to 500 fans of the restaurant and show came out to welcome the family back to Dorchester. After the ceremonial green ribbon was cut by Alma to signify the opening of the food truck, the family handed out food to those in line. 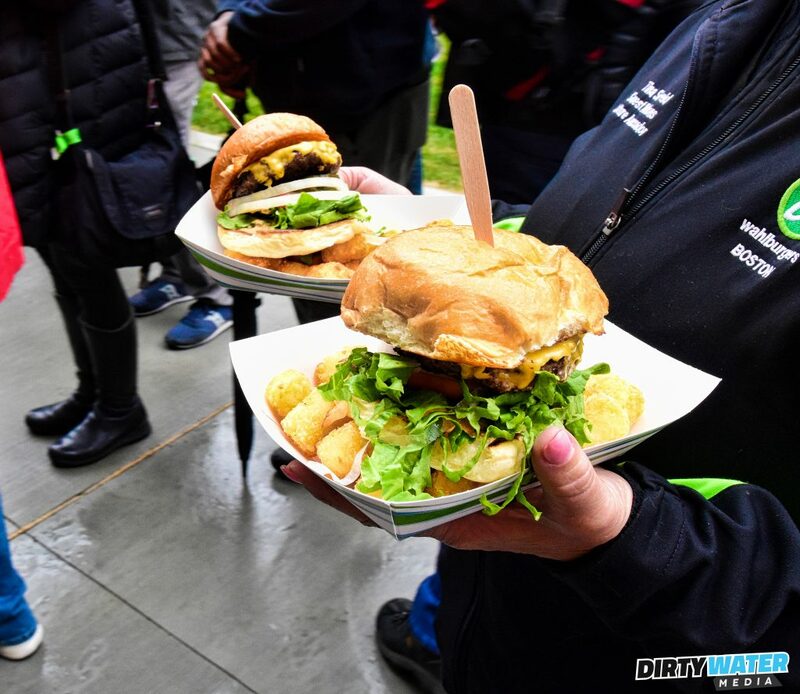 They also spent time taking photos with fans, signing autographs, and feeding the hungry construction workers that are building the new Wahlburgers Dorchester restaurant and making South Bay Center come to life. Mark Wahlberg even found the time to FaceTime into the event, saying hello to all who gathered and wished his family good luck with the launch.